Why a cross-disability foundation? - INVESTING IN ONE OF CANADA'S MOST PRECIOUS NATURAL RESOURCES, THE HUMAN-ANIMAL BOND. INVESTING IN LOVE JUST FOR BEING. WHY IS THIS IMPORTANT? BECAUSE LOVE CHANGES EVERYTHING. Unite Animal Assisted Services beneficiaries and stakeholders to identify core values and common priorities. Stimulate collaborative action in the spirit of cooperation and inclusiveness. Enhance donor confidence, quality of life, animal welfare and public safety. Ensure the sustainability, credibility, and availability of exceptional Animal Assisted Support Services. Support related charities and those they serve. Carry out the Foundation's charitable programs and activities. Conduct and support research and development. 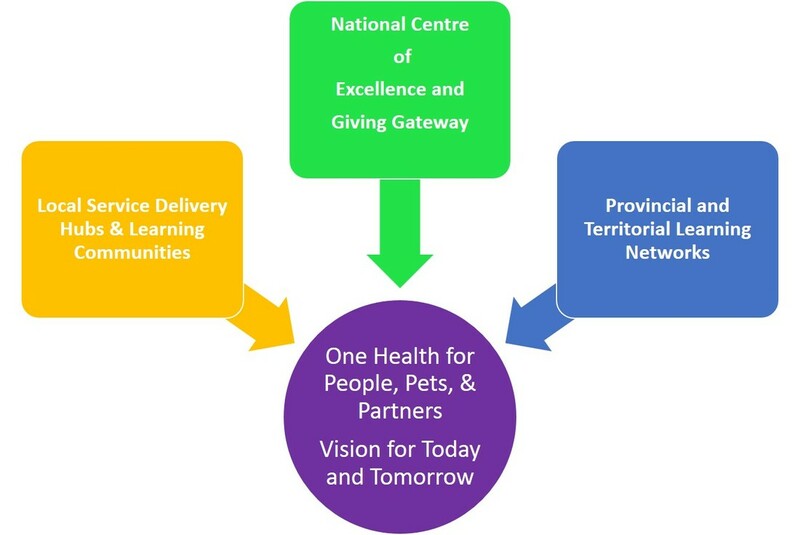 Establishing Unity in Diversity through a visionary process that would gradually build a Virtual Centre of Excellence, Provincial and Territorial Learning Networks, Local Service Delivery Hubs and Learning Communities.